John Rockwell retired as a New York Times music and dance critic years ago, but now he's back writing for the Financial Times. Thursday night’s season-opening New York Philharmonic gala in David Geffen Hall was clearly meant as a statement. It was Jaap van Zweden’s first concert as the orchestra’s 26th music director. The event was preceded by a publicity campaign (Meet Jaap!) designed to introduce this little-known Dutch conductor to a bemused New York public. The music began with a commissioned world premiere by a woman. Hype hung heavy in the air: Oscar S. Schafer, the board chairman, asserted that we would soon recognise the Philharmonic as the greatest orchestra in the world and van Zweden as the greatest conductor. Deborah Borda, the admired administrator who had been lured back to the Philharmonic after 17 years with its Los Angeles counterpart, introduced herself from the stage as “president of the Los Angeles . . .” before she caught herself. Maybe she was disoriented by the hype, but on the basis of this concert, that hype is just a tad premature. Boldly for a gala, the programme made another statement. There was a determined avoidance of the 19th century and before. The opening premiere, Filament, was by Ashley Fure (pronounced fury), a 36-year-old, much honoured Dartmouth professor. She writes music full of often beguiling sound effects, freighted with grandiose explanatory verbiage. Her 14-minute score had its moments, many of them. The bulk of the orchestra played discreetly while attention was seized by several instrumentalists spotlit and played unconventionally (a credit card scraped on strings) and choral singers in the aisles and balconies humming and whispering through megaphones. It was all pretty subtle; Berlioz did spatial music more boldly in his Requiem. The highlight of the night was the Ravel Piano Concerto in G (replaced by Beethoven’s Emperor Concerto in the three subsequent concerts), with its Gershwinesque outer movements and luxurious Adagio. Van Zweden and the orchestra sensitively accompanied Daniil Trifonov’s crystalline precision, and the encore, Debussy’s Reflets dans l’eau, was equally lovely. The programme ended with Le Sacre du Printemps which, as a revolutionary proclamation, made yet another statement. Here van Zweden’s apparent predilection for clean, schematic playing, for detail over a coherent line, robbed Stravinsky’s music of its raw excitement. Maybe modern orchestras just play this once-impossibly difficult score too easily; the thrilling, visceral strain is never apparent. But this performance never rose above a low boil. He is not little known except in the sense that to the general public all conductors are little known. Who had ever heard of Alan Gilbert? Then, opening with a piece that will never be performed again, while now common, is a highly questionable practice. (A 36-year-old Dartmouth professor? Give me a break.) If they want to open with a modern piece, let them choose something by Elliott Carter, but of course that would send half the audience out of the auditorium. Finally, and I actually heard this several years ago, there is the odious practice of starting the initial performance with the Star-Spangled Banner, as if it were a sporting event. Once you introduce something allegedly patriotic in the US, you can never withdraw it. While I'm here, on another thread I referred to my substituting for a music teacher. One of the pieces they were working on was a rather awful arrangement of the most difficult national anthem in the world, though I did not convey that opinion to these young people, of course. There is a reason that I have my nickname. What I could not understand is why they were on Spirit Day (don't ask), which is tomorrow, supposed to sing it a cappella, when the accompaniment was perfectly accessible. They were not for their age untalented--quite the opposite in fact. Just under-supported. He is not little known except in the sense that to the general public all conductors are little known. Come on now. Many if not most New York Philharmonic music directors have been famous before they assumed that post - Mahler, Toscanini, Bernstein, Boulez, Mehta, Maazel. Others who were sought for that position, such as Claudio Abbado and Riccardo Muti, were just as famous. Every now and then the Philharmonic has taken a chance on an unknown quantity or quality, such as John Barbirolli in 1936 and of course Alan Gilbert, and it would be fair to say that they were little known if not unknown even to American classical music lovers. Many if not most American classical composers since the War have held teaching positions - very rarely can they support themselves just by writing music. (Elliott Carter held a series of academic positions at colleges and conservatories for more than 30 years.) Any world premiere is going against the odds; most such pieces rarely get a second performance. By conducting a new piece by a living composer and a woman at that, in his very first concert as music director, van Zweden was both making a statement of intent, as John Rockwell says in his first sentence, and answering a widespread opinion that unlike Alan Gilbert, he would conduct little new music by living composers. This opinion was based, among other things, on the Philharmonic's discontinuing Gilbert's "Contact" series of new music after van Zweden's appointment was announced. All this said, John gave Fure's piece an essentially friendly welcome - it's off to a good start. Who knows whether it has a future? Nobody could have guessed, after its fiasco of a premiere in 1913, that "Sacre du Printemps" would become a staple of the standard concert repertoire and open a New York Philharmonic season more than a century later. Or that its 31-year-old composer would become one of the most famous and influential composers of the century. While "Cyrano" by Walter Damrosch, after a premiere in the same year at the Metropolitan Opera with an all-star cast, has never since been performed except in a 1941 concert by the New York Philharmonic conducted by Damrosch himself. Last edited by John F on Fri Sep 28, 2018 7:44 am, edited 1 time in total. All this said, John gave Fure's piece an essentially friendly welcome - it's off to a good start. Who knows whether it has a future? Nobody could have guessed, after its fiasco of a premiere in 1913, that "Sacre du Printemps" would become a staple of the standard concert repertoire and open a New York Philharmonic season more than a century later. Or that its 31-hear-old composer would become one of the most famous and influential composers of the century. While "Cyrano" by Walter Damrosch, after a premiere in the same year at the Metropolitan Opera with an all-star cast, has never since been performed except in a 1941 concert by the New York Philharmonic conducted by Damrosch himself. If you want to go back to ancient times, then you have a point, but right now most conductors in America since James Levine's professional demise and perhaps in the world are so-and-so and I can't remember his or her name. Damrosch is irrelevant because he was an obvious mediocrity from the beginning, and as for Sacre, you yourself posted the newly found and (I agree) awful choreography of the original ballet. When the piece was first performed as a concert piece, it was a resounding success. I think the key idea in this review is that the Stravinsky was rather sterile. We'll see what happens in the future, but just reading through Le Sacre is NOT my idea of a successful concert. Van Zweden's recording of the piece is quite awful, but that was more than a decade ago IIRC. Damrosch is irrelevant because he was an obvious mediocrity from the beginning, and as for Sacre, you yourself posted the newly found and (I agree) awful choreography of the original ballet. When the piece was first performed as a concert piece, it was a resounding success. Damrosch was mentioned as the composer of an opera which, after its premiere at the Met with an all-star cast (obviously mediocre works don't get that deluxe treatment), was heard no more. That makes it relevant. Nearly every new piece fails to join the standard repertory, but that's no reason not to perform them, as you seemed to be saying. Last night's concert went well, I'd say. The orchestra is in good shape - as good as having lost its 1st oboe and 2nd trumpet allows; with Philip Myers finally gone, the horns are worthy of a top-rank orchestra. Van Zweden's Bruckner 8 was well played and interpretively unexceptionable if not exceptional. Often the balances were such that the main musical line, especially in the trumpets, was often covered by subordinate lines, notably toward the end of the finale when the first movement's main theme comes crashing in fff. The first movement was rather slower, smoother, and less dramatic than I like it, though certainly within reach of Bruckner's Allegro moderato. The concert opened with Conrad Tao's "Everything Must Go," commissioned by van Zweden specifically as a prelude to the Bruckner 8th; there was no pause between the pieces. A strange idea and it didn't work; Tao's music has nothing to do with the symphony, which Tao admitted he had never heard when offered the commission, and I didn't like it in its own right. I doubt it will be performed again, except maybe when van Zweden next conducts Bruckner 8, and there's no reason why it should be. And now the New York Times review. A friend who also attended the concert, sitting upstairs, commented that van Zweden's Bruckner was very loud - unavoidable, I'd think, with the score's dynamic markings and the stage jam-packed with heavy brass - but Tommasini apparently says much the same. Conrad Tao, the 24-year-old composer and brilliant pianist, charmingly admitted earlier this year that he didn’t know Bruckner’s sprawling Eighth Symphony when he was asked by the New York Philharmonic to write a short piece as a sort of prelude for it. Yet Mr. Tao emphasized at the time that the proposal enticed him, and that he was eager to get to know the Bruckner. For months Mr. Tao, immersed himself in Bruckner’s challenging, sometimes mystifying symphony as he worked on his commission. The result, “Everything Must Go,” had its premiere on Thursday at David Geffen Hall. Jaap van Zweden, in his second program as the Philharmonic’s new music director, conducted this teeming, mercurial 11-minute piece as a curtain-raiser to the symphony. Indeed, there was no break between the Tao and Bruckner works. In a program note, Mr. Tao wrote that he had multiple “starting points” in mind as he composed the piece, including the mystical image of a cathedral gaining sentience as its melts, and the idea of pursuing pleasure as a method of control. It was difficult to detect hints of such elusive imagery in the music. But his vivid description of the piece as a “sound mass undergoing various transformations,” leaving behind “tendrils and residue as it gains and losses appendages,” strongly comported with the piece I heard. On Thursday, the music built to feverish episodes, thick with swirling strings, writhing riffs and whiplash cracks. Passages of soft, buzzing string tremolos — interlaced with pointillist squiggles and Messiaen-like bird calls — were almost more nerve-racking than the thick demonic eruptions. But the piece eventually lost “appendages,” to borrow Mr. Tao’s word, and thinned out, quizzically, as if turning over the stage to the Bruckner symphony — which, in this context, seemed to pick up from Mr. Tao’s music. The first movement began with subdued sustained tone, with an ominous, questioning, fragmented phrase in low strings underneath. Mr. van Zweden has made a specialty of Bruckner, and this performance demonstrated the strengths he brings to the task of conducting the monumental Eighth Symphony. In each of its four movements, Bruckner grapples with large-scale elements of form, as if using musical structure to posit larger questions of meaning. Something will happen, then just stop until something else happens as the piece explores another direction, another dimension. Bruckner also fixates on some motif or statement and puts it through a series of sequences, or subjects it to intricate development. The Bruckner performances that have most moved me emphasize the questions the composer seems to pose. Mr. van Zweden conducted the Eighth Symphony as if he had an answer for every query. Phrase to phrase, episode to episode, everything sounded purposeful. The musical rhetoric of the piece — that is, what leads to what — came through clearly. He certainly drew out the music’s character: the curious mix of Wagnerian surging and symphonic rigor in the Allegro; the weighty, pummeling energy of the Scherzo; the throbbing, melting expressivity of the Adagio; the architectonic grandeur of the finale. Mr. van Zweden’s general penchant for making everything overly emphatic was the downside here. The last movement, for example, builds inexorably to a late episode of glittering, all-out intensity. But in this performance, Mr. van Zweden had pushed the orchestra to make several earlier episodes equally climactic. So by the time that late passage came, it sounded redundant and ineffective. To his credit, the performance had visceral intensity and won a long ovation from the audience. And it was a great idea to pair an adventurous young American composer with an august Austrian symphonic master. I'm glad Van Zweden received a good review for his Bruckner. He's good at it, especially VIII, which he has recorded previously. Sorry I couldn't be there! Yes, I've heard that one, and will listen again tomorrow when I have time. Thanks. Of course, I've heard better, notably Szell/Cleveland and Giulini/Vienna. 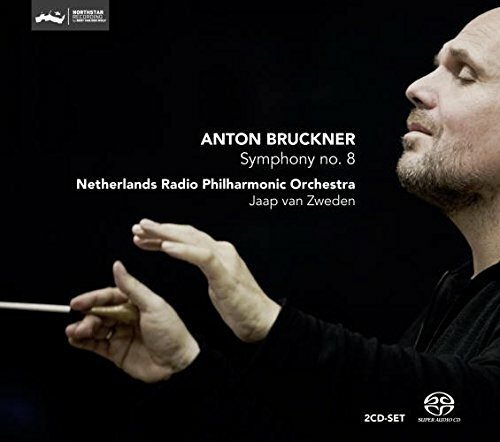 NY is not known for its Bruckner, so van Zweden will have to work some magic to bring the orchestra up to snuff. My own estimation of van Zweden is that he's accurate now but not inspirational. Hopefully, his new orchestra will inspire him to new heights as he settles in. Those renovations still need to happen to the hall, and that means more enthusiasm and inspiration from the podium. I haven't heard much of Zweden's conducting yet , so I will have to reserve judgment about how his relationship with the orchestra will work out . Apparently the orchestra really likes and respects him, otherwise he would not have been chosen . From all reports, the Dallas symphony and Zweden have been a genuinely successful combination, and critics and others say the orchestra has never played better . It may take time for him to get used to the acoustics of Geffen hall , and he apparently the Dallas orchestra is blessed with a concert hall with much better acoustics from all reports . Zweden's ongoing concert performances of the Ring with his other orchestra the Hong Kong Philharmonic which have been released by Naxos and I haven't heard, has gotten pretty good reviews so far on the whole . Possibly the Met could use him since he'll be spending more time in New York for the time being .